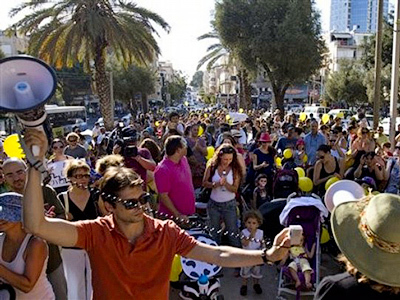 Tens of thousands of demonstrators have taken to the streets in seven cities across Israel, and their social slogans are rapidly being replaced by calls for the government to step down. 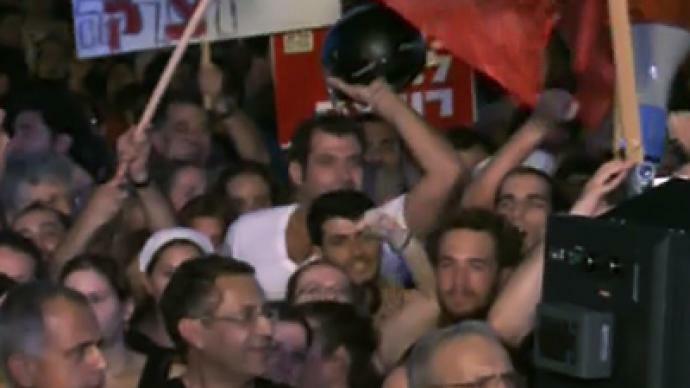 Rallies started at 9 pm on Saturday, with the main events held in Tel Aviv, where a large crowd gathered at the “Tahrir Square of Israel”, in front of the Tel Aviv Museum. The demonstrations, during which protesters carried banners demanding social justice, included musical performances from artists who support the movement. There was a heavy security presence in the square, as the authorities were concerned there could be a repeat of last Saturday’s events. Police secured the roads, and choppers circled overhead. 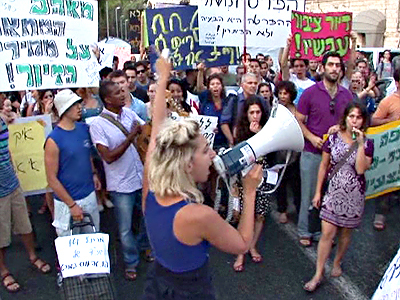 Police arrested several activists who were blocking roads in the centre of Tel Aviv, calling for Prime Minister Benyamin Netanyahu to quit over government policies. 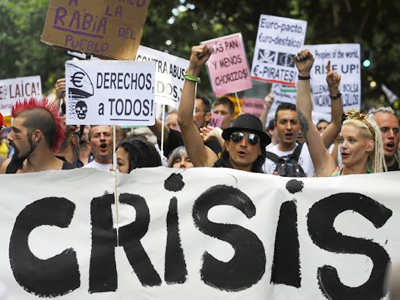 The demonstration, which started with demands for affordable housing, food, healthcare and education, took the authorities by surprise when it took a political turn which they visibly do not know how to deal with it, RT’s Paula Slier said. 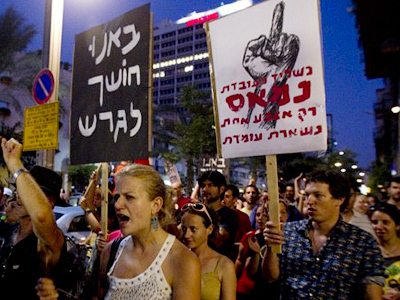 Calls for regime change and for Israeli Prime Minister Benjamin Netanyahu to step down were heard on the square. “This is our last chance, this is our only hope, we have to change this because we have no other choice,” said a third protester. Earlier on Saturday, Likud MK Ofir Akunis said Netanyahu is setting up a team to look into lowering taxes, Haaretz reported. 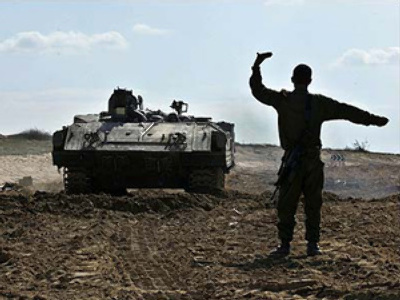 This caused critics to say that Netanyahu is behaving in the same way that the Egyptian president Hosni Mubarak reacted shortly before he was overthrown. Israelis did support the pro-democracy movement's protests in Egypt, and now, a lot of Israeli demonstrators are drawing parallels between what is happening in Israel and what happened in Egypt. Everybody is excited by the fact that so many people across the country have mobilized with the potential to possibly overthrow Netanyahu. Last Saturday there was a similar demonstration, although with fewer protesters, which erupted into violence when several people were arrested for breach of the peace.